The fast paced life has left us fatigued, tired, always ready to retire to bed and always willing to hog on junk. There is practically no time, rather, no motivation for many people around us including ourselves, to spare time for our health and wellbeing. And when the last straw strikes, we end up spending lump some for mega operations and micro therapies. Well, we guess there is a slight change in the plot. With wearables entering the scenario, health care has tip-toed its way into a brighter future. 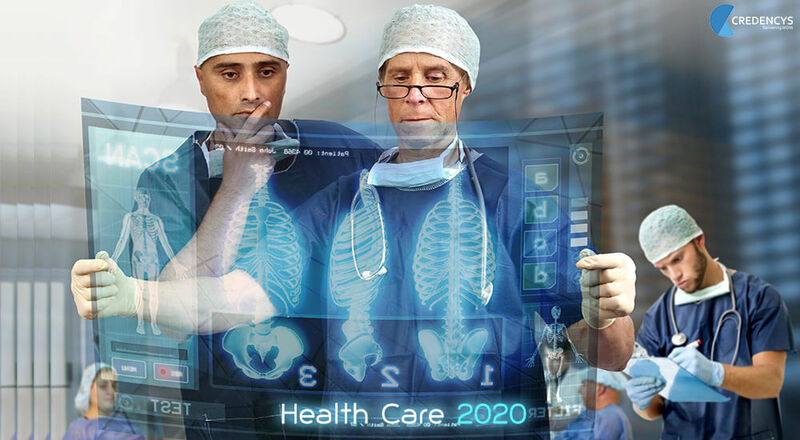 Talk about doctors using magnifying augmentations on operation tables to give précised results, or talk about your 60 years old dad going for a morning jog, with a calorie telling wristband you gifted him a few months ago, wearable technology is redefining future for healthcare. And as such, we expect the future to look somewhat brilliant. We all have heard of Google glasses, right? And why not? It topped the ‘Google’ babies for quite some time. While Google has not yet focused its forces to give a healthcare expertise to its glasses, we expect, it would do that soon! And when that happens, we visualize doctors using smart to scan through history of patients, learning about their allergies and weaknesses while administering medications or learn about earlier treatments, while operating on specific organs. Better yet, we are expecting it to redefine the way OTC drugs would be sold. Imagine people reading about tablets and capsules using their glasses before they bought them! Tired of taking pain-killers? A few years more, and chronic pain will find its place in history books. This technology is still in-vitro, but we would love to mention its role here. A portable device using Transcutaneous Electrical Nerve Stimulation is being developed. It is supposed to emit low voltage electric charge to relieve pain in patients who have chronic pain problem. Further, since the device is portable, it would allow its users to take care of excruciating pain at many pain points on their bodies. They are already there! And you would be amazed with how one gear can motivate people to increase their workout duration! Fitbit users take 43% more steps a day and STRIIV users walk 60 minutes daily! Think about it in this way. While the wrist wearables and smart watches now-a-days give the wearer a complete detail of his work-out schedules and results; a bit of tweaking with Augmented Reality can result in such details to be shown in the air, rather than on the device screen! So a jogger would be notified about his accomplishments after every kilometer on a screen in front of him. A brisk walker will be intimated about her burnt calories and that old man could have a better look at his sugar statistics….because all of it would be there right in front of his eyes in magnified form. Fantastic yeah?? The world is approaching sci-fi. And they didn’t leave the feet untouched! Yes, now they have wearables for your feet! Future winters would not mean freezing toes. They are developing a wearable for feet, and they call it digitsole insole. You have to fix it in your shoes and control the shoe’s temperature using a mobile app that is supposed to be synced with that sole in your show. Increase or decrease temperatures and your foot will be warmed up or cooled off accordingly. So can the bright shiny tomorrow be shinier? Well of course yes! Wearable technology is still in its cradle now. It will take time and a lot of conscious research to make it really work. What is fascinating us today will make us shrug in indifference tomorrow, and our future generation will grow with wearable devices. Let’s see how with an example. There is a point if you take the pain to scroll up, that says, doctors can use smart glasses on operation tables. Oh yes! They can, but only if the operation promises to end within half an hour…..that’s because smart glasses don’t work for more than half an hour at a stretch. There is a lot that can be done…. And the peak of wearable technology will probably leave us dumbstruck. Remember your expressions the last time you watched Hunger Games? Heavens! That entire movie is all about augmentations and wearable technology!